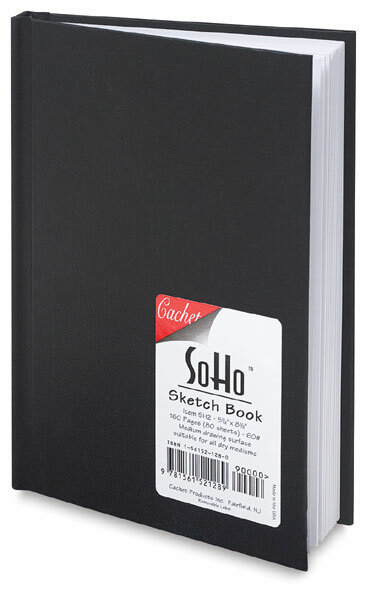 This hardbound sketchbook has a linen-embossed black paper cover with durable adhesive binding. It contains 60 lb white drawing paper that is suitable for all dry media and withstands repeated erasures. Value priced! 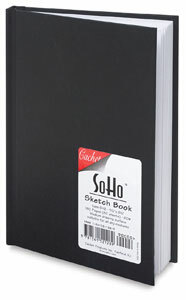 ® Cachet is a registered trademark. Soho is a trademark.